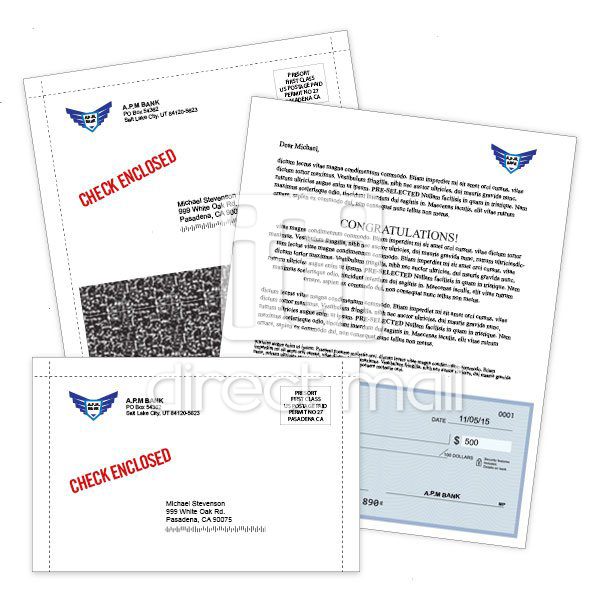 This snap pack is a single sheet of 8.5x11 paper that is folded and mailed without an envelope. This mailer is sealed using glue on the edges. 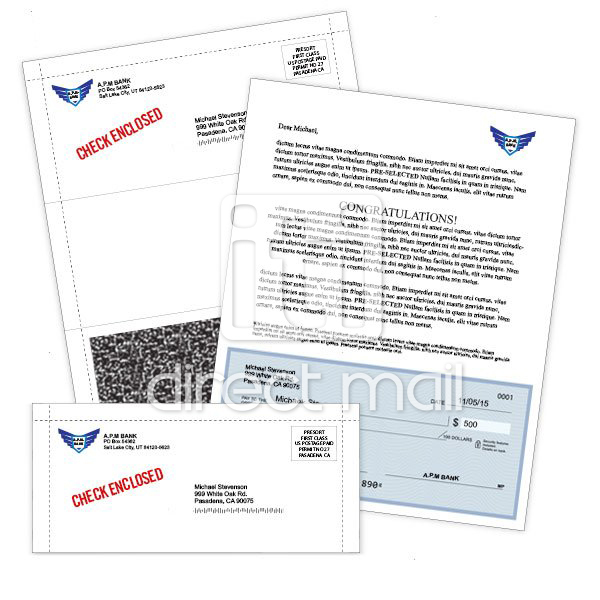 The recipient opens the mail piece by tearing off the perforated and marked side edges. All forms require both the left and right side edges to be torn; and some forms will require the bottom edge to be torn as well. 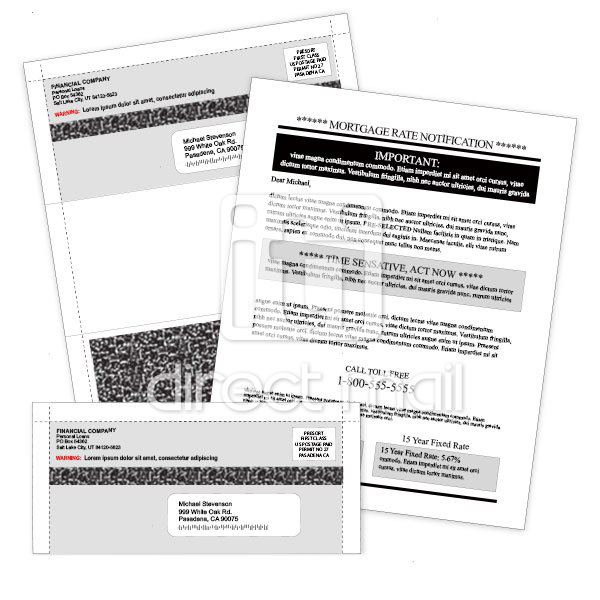 These forms can be printed in color or B&W including graphics, but these forms are not the ideal choice if you plan to use full color photographs. No additional inserts (e.g. business cards) can be included with this form. You can have mail merge on one or both sides. Paper type: 28 LB white sheets. 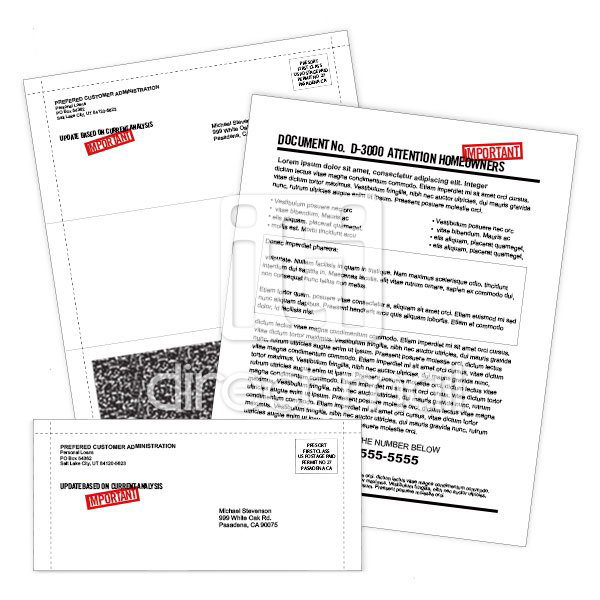 Some forms have a blockout on the back that cannot be printed on. 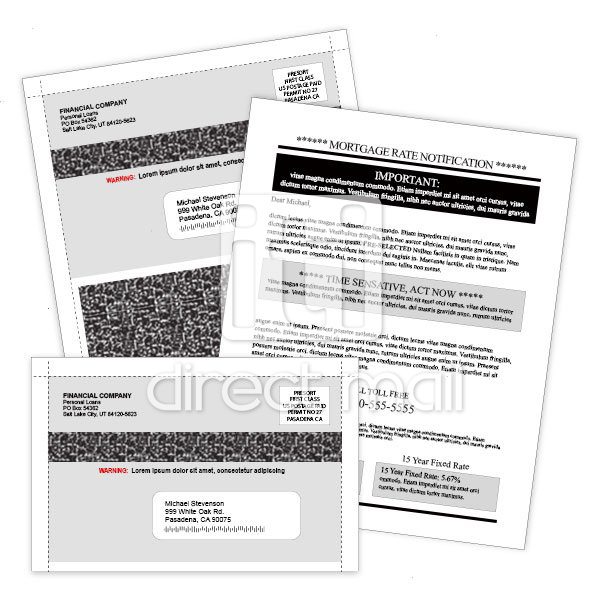 Sheet size: Standard letter size; 8.5x11 including the edges that will be torn off by the recipient, therefore the net space available for your printing is approximately 7.5" wide by 10.5" or less high depending upon the form. Please download the correct template (below) to insure correct sizing. Fold options: C, Z or half fold depending upon form type. Following are some of the common forms in size 8.5x11 that we provide as stock items. Please contact us, if you need a different type of a form. Please study the construction of each form carefully and look at the images above as well as the PDF templates below. 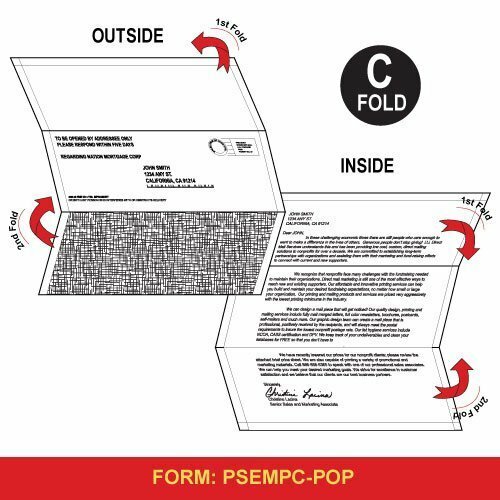 PSEMPC-POP: This is an 8.5x11 form that is C-folded. This opens similar to a regular business letter that is C-folded. The entire inside part of this form is blank and can be used. One the back you have 1 panel that is blockout, 1 panel is used for the addressing and third panel is blank and can be used for any purpose. Once the form is opened, you have a single sheet of paper. This form requires printing on both sides. 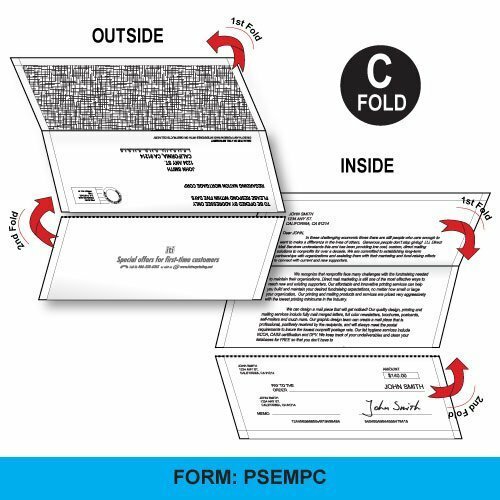 PSEMPC: This is an 8.5x11 form that is C-folded. 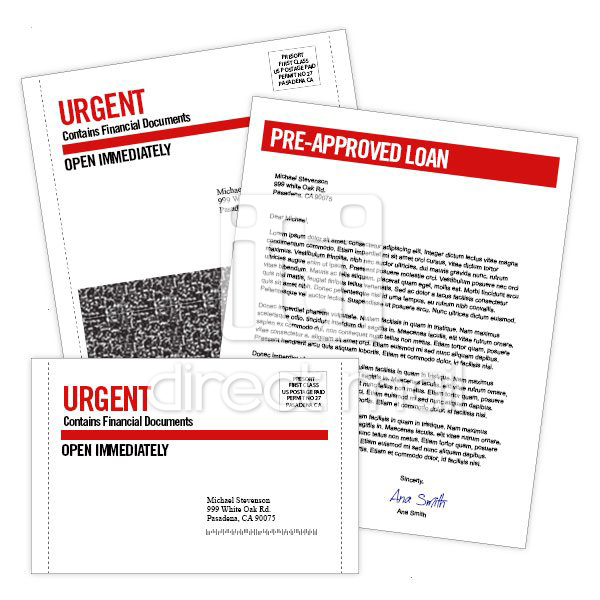 Once this form is opened, the bottom panel becomes loose from the rest of the form. This loose panel is usually used as a coupon. This loose panel can have printing on both sides. In addition to this loose panel, you have 2 panels that you can print on. This form has one panel of blockout. This form requires printing on both sides. 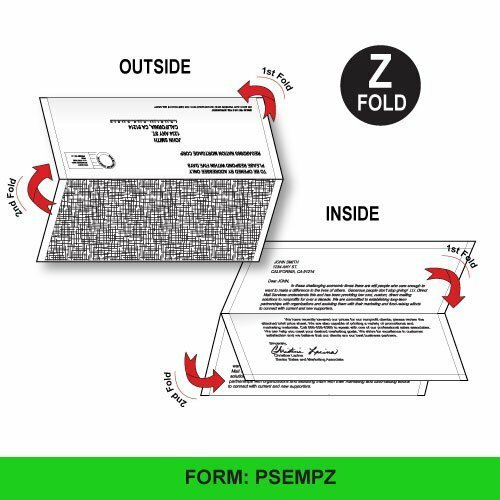 PSEMPZ: This is an 8.5x11 form that is Z-folded. You can have single sided printing on this form since the address and the main body of the form is printed on the same side. The back side has a single blockout panel and two blank panel that you can use for printing if you'd like. 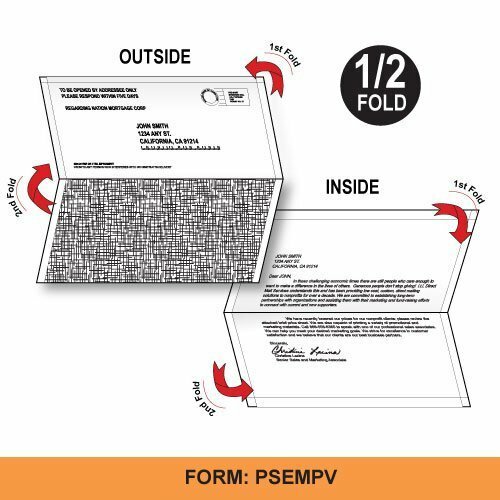 PSEMPV: This is an 8.5x11 form that is half folded, also known as a V-fold. This form requires you to print on both sides. Once opened, the inside is 7.5" wide by 10" high. On the back, one panel is used for addressing while the other panel is a blockout and cannot be printed on. 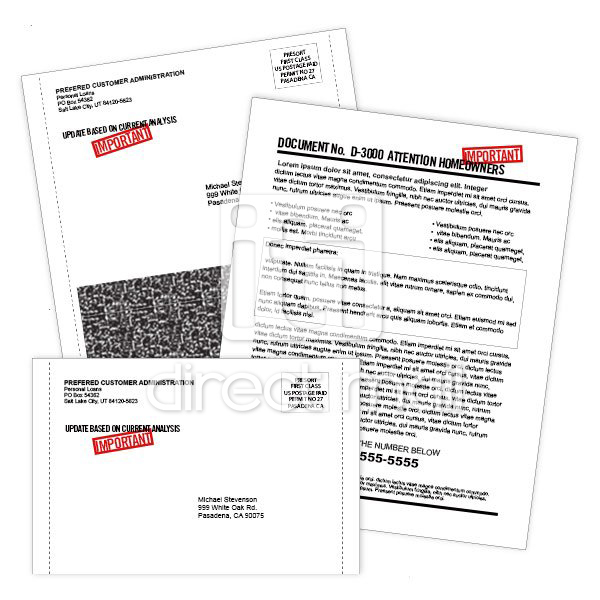 This piece is treated as a letter size for postage purposes. PSEMPV-BLANK: This is exactly the same form above except that the back does not have a blockout. 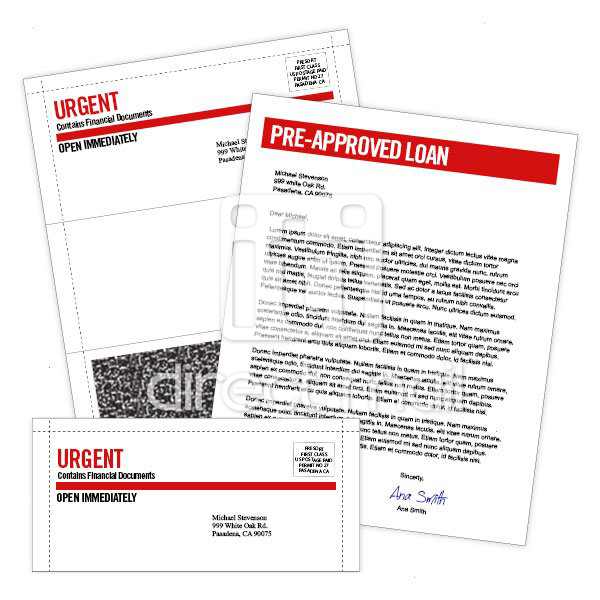 Therefore you gain an additional panel for printing purposes on the back side. Inside is exactly the same.